Welcome to W Miami, a downtown oasis in the middle of Miami’s Wall Street of the Americas. We’ve redefined the business travel experience allowing for maximum recharge during demanding business travel. Each of our 148 rooms feature private balconies with views of the city or Miami river, floor to ceiling marble bathrooms with W signature lemon + sage Bliss sink side amenities; the perfect getaway to energize. Whether it’s catching some sun on the 2-acre WET Deck featuring a 300-foot infinity pool on Biscayne Bay, or cocktailing over our breathtaking views at the 50th floor FIFTY Ultra lounge, W Miami offers the ultimate electric experience. From cocktails and cuisine served at the outdoor terrace on the 15th floor, to the chef's tasting menu at our signature restaurant 15th & Vine Kitchen and Bar, W Miami satisfies every culinary craving. Located at the northern gateway to Brickell Avenue, W Miami is ideally situated to cater to the business elite. This Miami boutique hotel is also centrally located near the city's many distinctive neighborhoods, cultural institutions, sporting venues and area attractions. Within Icon Brickell, the hotel stands steps from the 2,500 sq ft state-of-the-art fitness center, 300-foot infinity pool on Biscayne Bay, poolside bar and fireplace, and life-size chess set. Perched atop the 50th floor of W Miami, FIFTY Ultra Lounge offers the city's most exclusive lounge, while the private pool deck with bar offers dramatic skyline views unequalled in Miami. 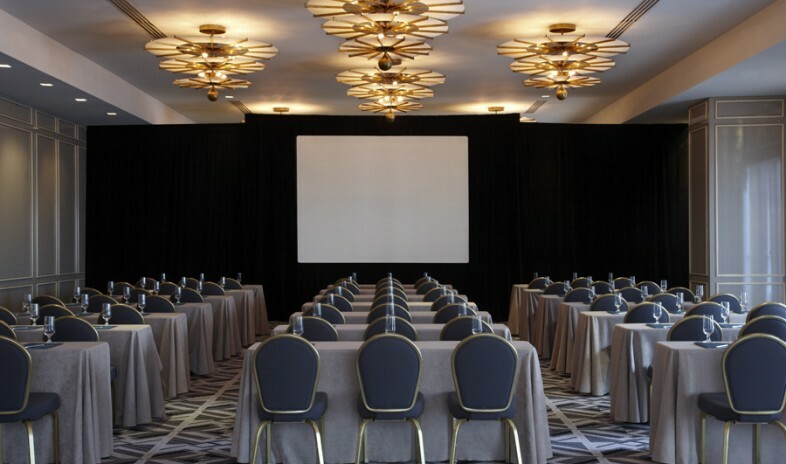 At W Miami, set the stage bayside and park-side for a business meeting, press event, photo shoot, sales presentation, conference or product launch. Versatile function spaces with floor to ceiling windows— ranging from traditional meeting rooms (over 4,000 sq ft), to the signature 15th floor restaurant with terrace, and 50th floor rooftop lounge (over 2,000 sq ft indoor and 4,000 sq ft outdoor),—make W Miami an ideal location for any gathering or meeting. The hotel also offers comprehensive catering services for every event from weddings to bar mitzvahs - including innovative culinary concepts and event planners that can assist you with all your event needs from decor, design, audio/visual or media. I had a group stay at the Viceroy Miami about a year ago and everything went perfect! I have been trying to find another group that I believe would match their style ever since. The sales team was great to work with and I LOVEDDD the document they asked me to fill out prior to group arrival. I felt secure just knowing that a hotel could care that much! Among the endless list of venues in Miami, Florida, very few come out on top on all levels of service. The Viceroy Hotel surely makes the cut. The staff are attentive, friendly, and find the solution to anything on your wish list. The food is a culinary dream and the views are breathtaking. My clients were over the moon with their wedding.